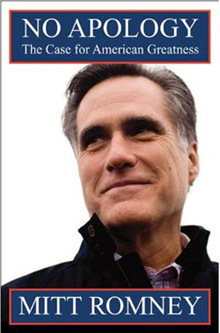 If you've been watching the Republican debates, then you have seen how often the other candidates (especially Rick Perry) use Mitt Romney's book against him and how often Romney often quotes from it to combat the claim that he has flip-flopped on his positions. We figured it was high time to get down to the bottom of it and go straight to the source. So this months' book of the month comes from none other than Mr. Guy Smiley himself. Happy reading.